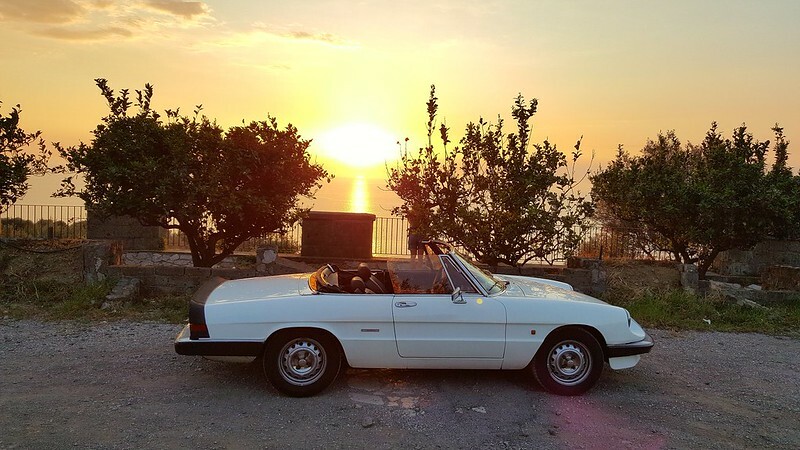 I planned a mini break around Sorrento and the Amalfi Coast and just for fun I started researching classic car hire in the area and was surprised to find a place that will hire out some old classic Alfa's. 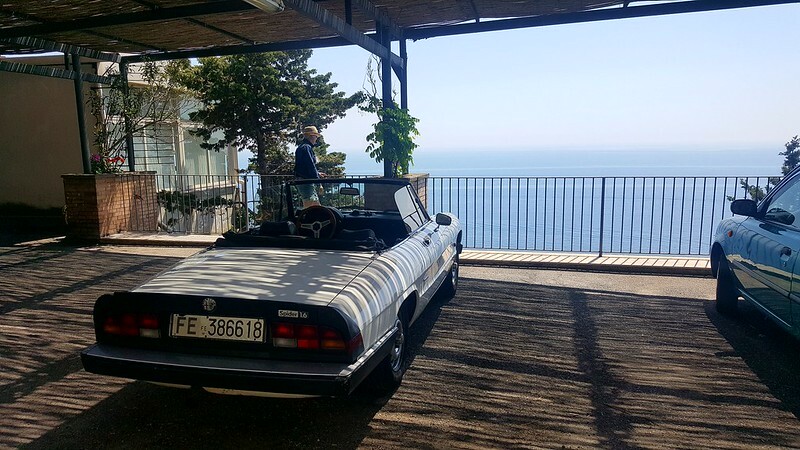 We landed in Napoli on the Thursday and arranged to have the Alfa delivered to our hotel in Sorrento on the Saturday morning, it was sad not having one of mine there for this but this more than made up for it for this trip and was pretty much the most perfect car I could have chosen to do this. The car would be with me until Monday morning. Friday was spent just getting to know Sorrento, lovely place. 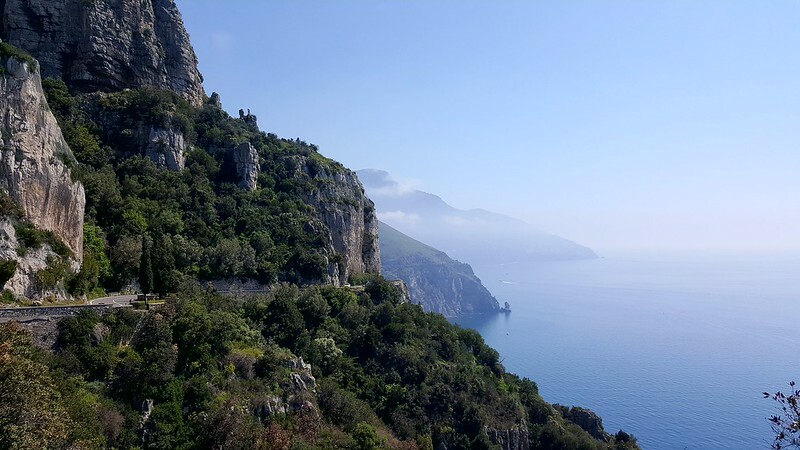 We drove and stopped to admire the views as much as possible with stops in Positano, Amalfi and Ravello among some places off the beaten track along the stunning coastline. 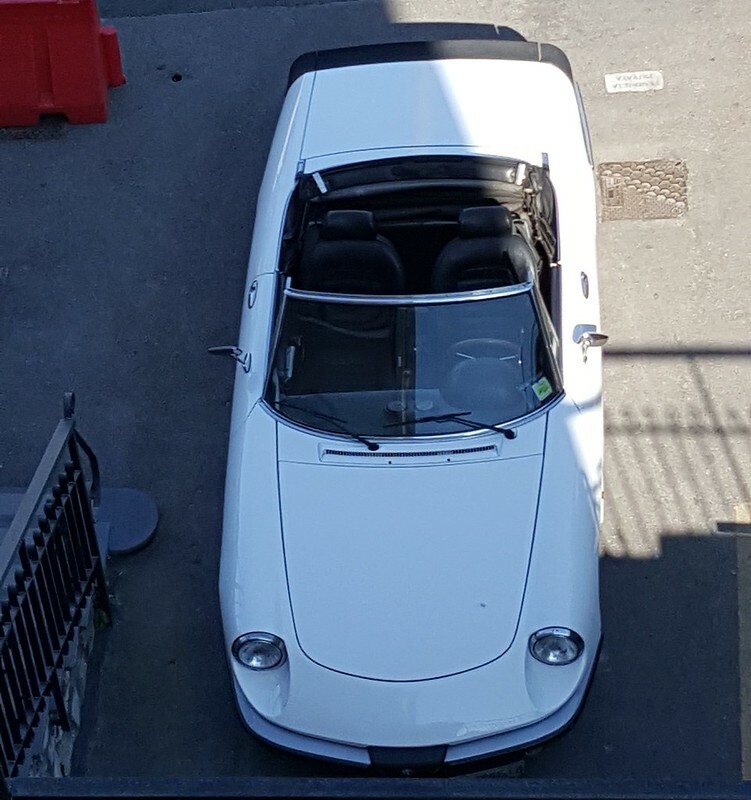 This Alfa got so much attention, and easily as much as the Ferrari's I had shared the road on the Saturday, thumbs up, waves and complimentary shouts in Italian and English everywhere you went, it was such a happy car. The car itself was reasonably well maintained but it was showing its age. 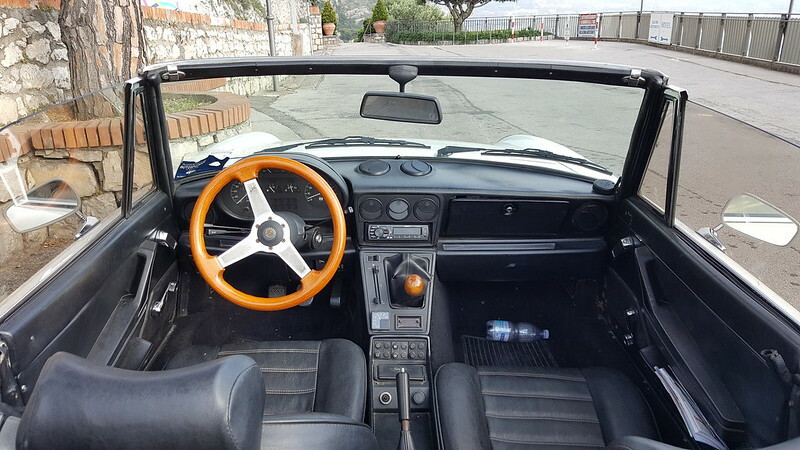 I'm not sure the steering wheel had any connecting tissue to the wheels and the gears would occasionally crunch, I suppose its quirks added to the experience. The sound it made was a classic Alfa rasp, paaaarp. 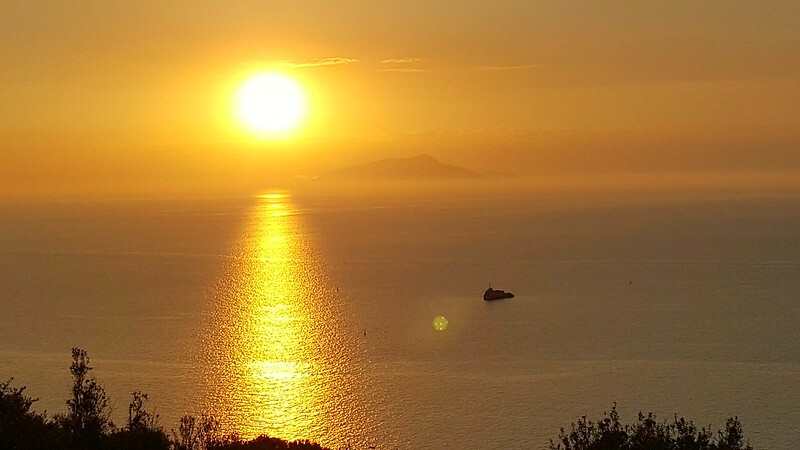 On our return back we could see the sun going down and we looked for the best part of the mainland to catch the sunset, Massa Lubrense was en route and was perfectly located to see the sun going down behind Capri island. 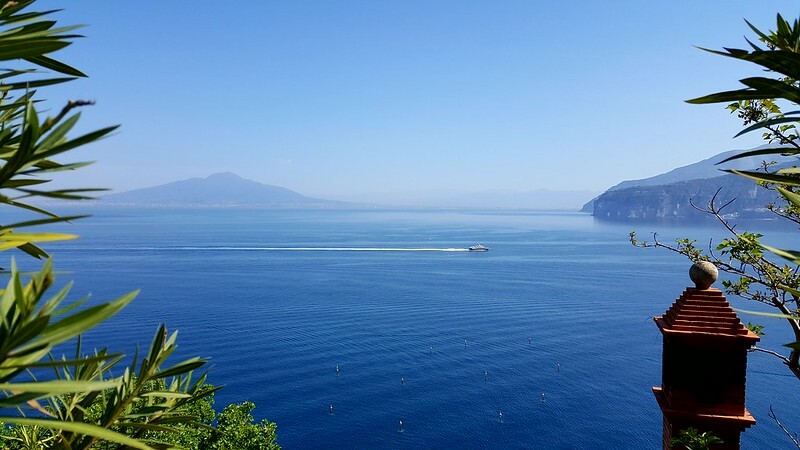 The Sunday was spent further North on the coastline near to Pompei and Vesiouvio, we obviously visited these main tourist attractions. The drive back was fun, downhill and empty in my direction, gridlock in the opposite direction, the car excited a few people stuck in traffic. I was initially unsure what to expect because my 944 of the same year is as tight as a drum, the Spider felt like it was another decade older compared to the Porsche, they really did build these Porsche's well but the Alfa was the correct car for this occasion. Great stuff Chris. I bet it was a hoot!! 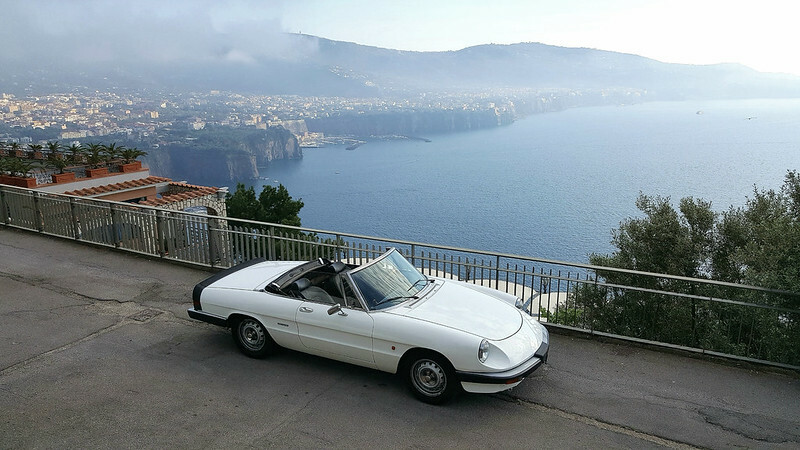 Always fancied an Alfa Spyder a couple of decades ago and at the time they were a giveaway. 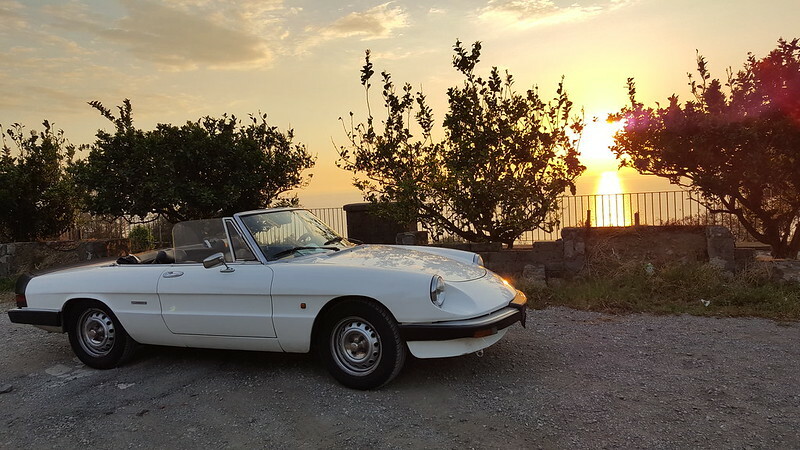 Proper Italian motoring. 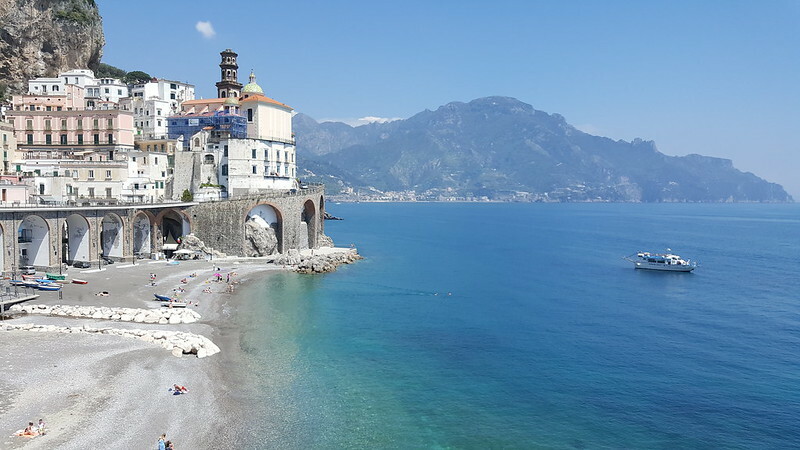 What's this all about, Amalfi? Its a place in Italy Gary, lovely little place.....you should get out more. See the world. Yes "with a song in my heart". Has hoping my little joke would get a "Lorra lorra laughs" as Cilla would say. Great pics and write up Chris, the weather doesn't look too shabby either. infrasilver, looks like a cracking trip. 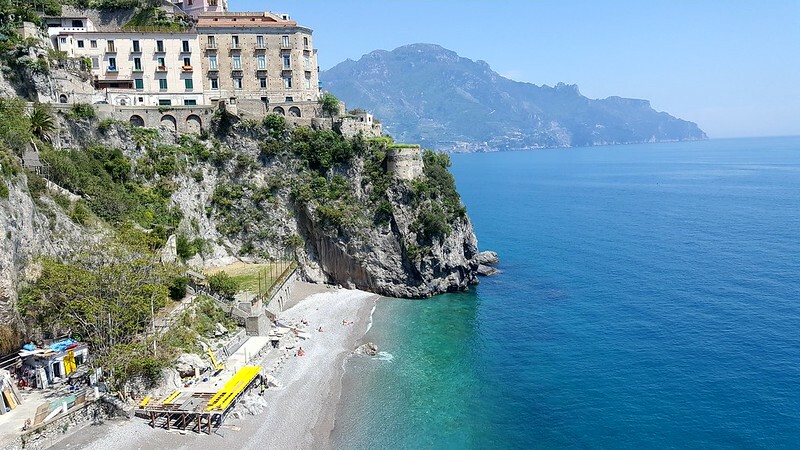 Me and a few mates are heading to the Almafi coast in August. We’re do a Euro trip every year, this year we have 5 cars going 2 of which are Porsche’s. Having never driven that far down into Italy before any inside info or pointers would be welcomed. We don’t plan the trip to much, just decide on a time frame (usually 10 days) and have a rough destination in mind then book hotels on the fly. Last year we ended up in Bosnia after planning a trip to Croatia. The year before we were aiming for st tropes and ended up in Monaco! My wife has wanted to do Pompeii for years. That whole area is very high up on our next road trip list. Looks fantastic. Thanks for posting. I agree about old Alfas too. Great to look at and good fun but the novelty would wear off if you owned one. 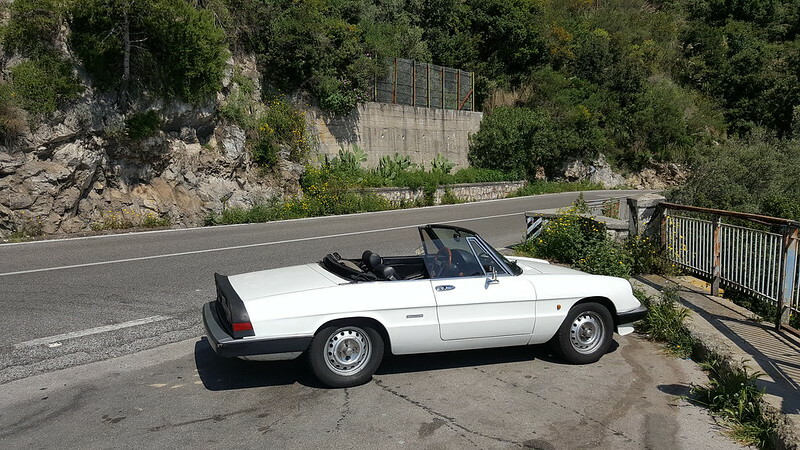 As you say though, for that purpose and in that location a classic convertible Alfa is hard to beat. Are you still out there then? Or are back in Blighty? Fantastic, food, fantastic views, crazy road. I remember the signs in both directions "oncoming vehicles have the priority" er, OK. I wouldn't want to drive in my 996...better a fully excess covered hire car! We did it in a Fiat 500 convertible auto, which was like a go kart! Need to drive all these epic roads before they get closed to the public. Pacific coast highway is another memorable one. My wife has wanted to do Pompeii for years. I though Herculaneum was better to visit... amazing place. Next time, an Alfa would be entirely appropriate. Good call. Spectacular pics, and a great choice of car for it. I was there last year with work, it really is beautiful. Just catching up with all the comments. I was there for 5 days and the weather was sublime the whole time, mid 20's and sunny, so much so I'm starting to peel and aftersun is currently being slapped on. 2 days with no roof then a couple of boat trips fried me. I had heard so many problems with traffic along the coast road in advance of coming but we seemed to be lucky and mostly made progress. There were a few tight moments with buses coming the opposite way but nothing to hairy at all. I wouldn't recommend for a fast paced road trips, this was just a cruising trip, I'm sure there are better roads inland for a good hoon and I did scout a few out in the national park in advance but only if I had the time, this never happened unfortunately. The whole trip did turn out to be expensive mainly due to eating/drinking well but the initial return flights for both and the other hire car were less than £150. 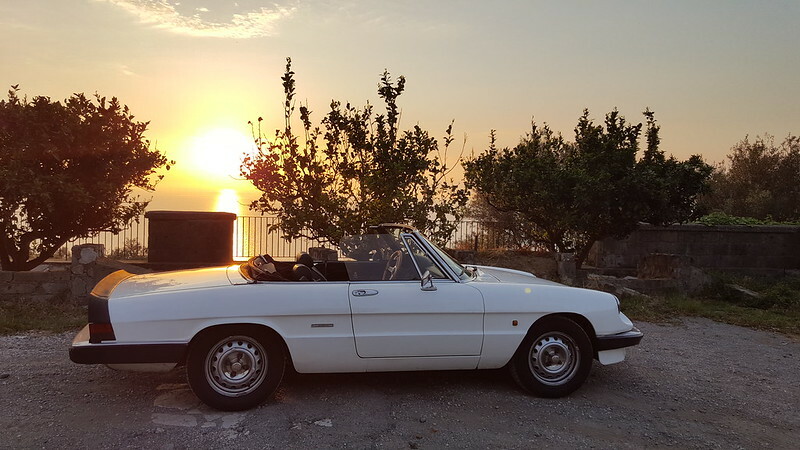 The Alfa rental was £300 for the 48 hour weekend and we chose a decent hotel that was reasonably priced. 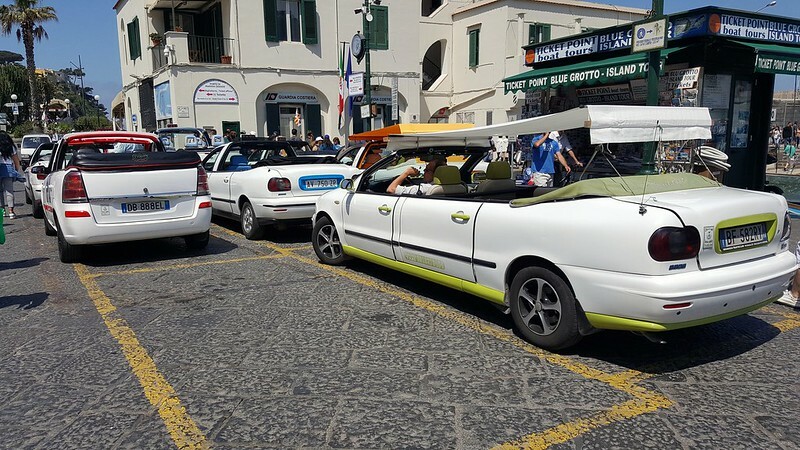 The taxi's on Capri island were a little "Top Gear" stylee in their construction, stretched cabriolet ex saloon cars. 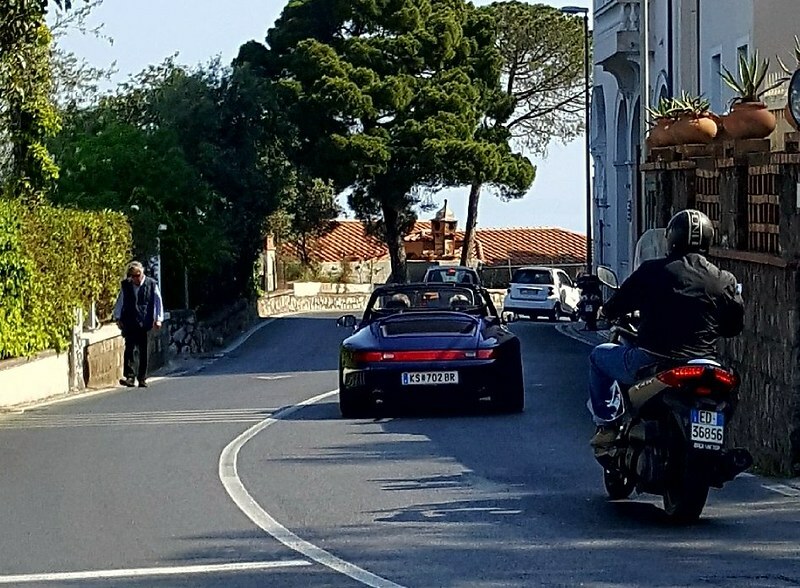 I saw a few 911's (along with a few Ferrari's) but I saw this 993 cab the most around Sorrento. I'm going in May. Hired a Scooter for maximum lulz.